The question is a deceptively simple one, not least when it comes to trying to define what, in fact, a species is. It does appear, however, that there is a population of foxes in the United States that is indigenous to the continent and genetically distinct from those in Europe and Asia. Recent genetic data from a team at the University of California suggest that red foxes living in the western mountains and Sacramento Valley are genetically distinct from those found in Europe and have been reproductively isolated for at least the last 10,000 years. In the past, some authors have argued that foxes introduced from Europe during colonial times either displaced or hybridised with the indigenous animals, resulting in a diluting of the North American fox gene pool. While this may have happened to an extent, particularly at low altitudes, most genetic data we have clearly separates the global fox population into at least Nearctic (containing individuals with genetic mutations only found in North America) and Holarctic (North America and Europe/Asia) groups. This, combined with the recent data from California, would seem to support the elevation of mountain foxes in North American to the species level: Vulpes fulva. Before we can answer the question there is an important point to touch upon. We need to be aware that there really isn’t a universally-accepted definition of what a species actually is. On the face of it, explaining what makes something a species seems pretty straightforward. Most of us would probably recite Ernst Mayr's biological species concept as we were taught it at school, which tells us that species are “groups of actually or potentially interbreeding natural populations, which are reproductively isolated from other such groups”. In other words, if two plants or animals can’t breed with each other to produce fertile offspring then they’re different species. Unfortunately, nature has little respect for such constructs of human convenience as definitions, and closely related animals may well breed to produce offspring that can themselves reproduce; we call these fertile hybrids and they’re common among plants (albeit less so among animals). Some biologists have suggested that we should apply the definition only to those that would not hybridise under “natural conditions” – i.e. without ‘helpful’ humans bringing them together in zoos or moving them around the planet, providing mating opportunities they wouldn’t normally get. The problem with this modification to the concept is that lots of populations are fragmented. Should each one be considered a separate species? Red deer here in the New Forest, for example, are prevented from mating with those in France by the English Channel, a stretch of water some 32km (20 miles) wide at its narrowest. Does this mean that French and English red deer should be considered separate species, just because they’re reproductively isolated? Who’s to say they wouldn’t readily breed and produce viable offspring if the channel were to suddenly dry up and connect the two populations? More recently, advances in genetics have found that organisms can be grouped based on how similar their genetic code, or genome, is. There is some concern that this phylogenetic species concept causes ‘over-splitting’ of species, but it probably gives us the best indication at the moment of where to draw this imaginary species line. It is this concept I’ll be referring to here. The scientific exploration and documentation of North America didn’t really get underway until the early 1800s, which means we have little reliable information on the continent’s wildlife prior to this. Testimony from native tribes on the eastern seaboard of the US suggests that there weren’t any red foxes around until Europeans started settling there in the 1600s. Credible reports from early colonial America come, for example, from the journals of Thomas Morton and John Josselyn, who noted that red and grey foxes were around in the 1600s, but very scarce. There are various reports of foxes being imported to the continent from Europe by early settlers, mainly for the purposes of hunting, but it was never clear whether any of these releases led to a population becoming established. 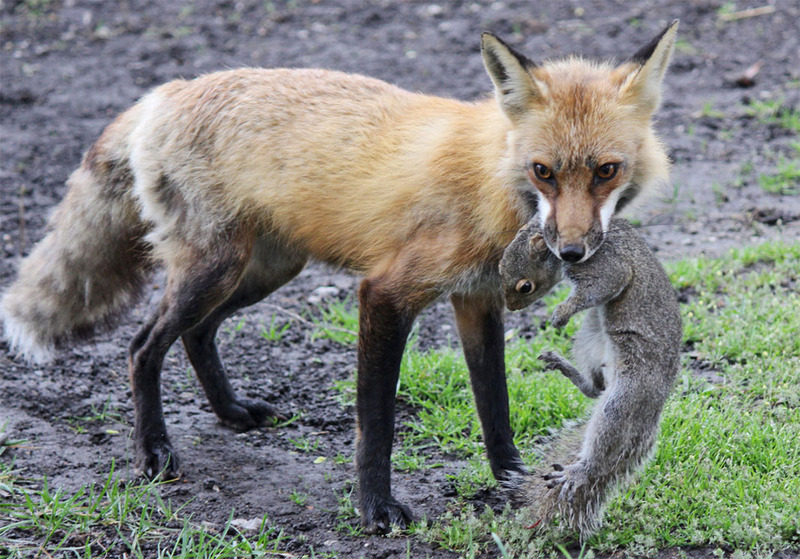 Some of the earliest wildlife legislation was, however, aimed at foxes, with bounties for red foxes enacted in Massachusetts (1635) and Rhode Island (1641), suggesting a significant population at that time. We also know that widespread clearance of forests by early colonists to make way for farmland appeared to benefit the red foxes, which increased in abundance as a result, peaking around the mid-1800s. Early naturalists recognised that the foxes they saw in North America were different from those back home, and several species were described. In particular, in his 1820 volume on the mammal species of the world, French zoologist Anselm Desmarest considered there to be two species of red fox: Canis vulpes in Europe and Asia and, based on an animal from Virginia, Canis fulvus in North America. With the rearrangement of the Canidae came the placement of foxes within their own genus (Vulpes) and this North American species became Vulpes fulvus. At some point the binomen was changed to Vulpes fulva, presumably because Canis is a masculine noun, while Vulpes is feminine; fulvus is masculine and fulva feminine, so fulva ‘belongs’ with Vulpes. (These semantics matter to scholars, but to most of us they are of no consequence and I mention it here only because both Vulpes fulvus and Vulpes fulva are widely found in the literature, but both refer to the same species.) The species epithet fulvus is a nod to the animal’s colouration: it means ‘yellow’ or ‘tawny’ in Latin. By the end of the eighteenth century most North American red fox species had been synonymised (merged) with, or relegated to subspecies of, Desmarest’s widespread Vulpes fulva. The topic resurfaced in March 1900, however, when C. Hart Merriam published his revision of North American red foxes, in which he described 10 species and two subspecies, including V. fulvus. Overall, based on various hunter-donated and museum-held specimens, the argument was made for the North American fox being distinct from its Eurasian counterpart: smaller, with a shorter and smaller tail; paler in colour with a rusty face; more profuse blackening of the feet; longer fur; and several skull and dental differences. Churcher’s findings laid the matter to rest for many biologists, who took to referring to North American foxes as the subspecies Vulpes vulpes fulva, or didn’t differentiate them from European animals at all. 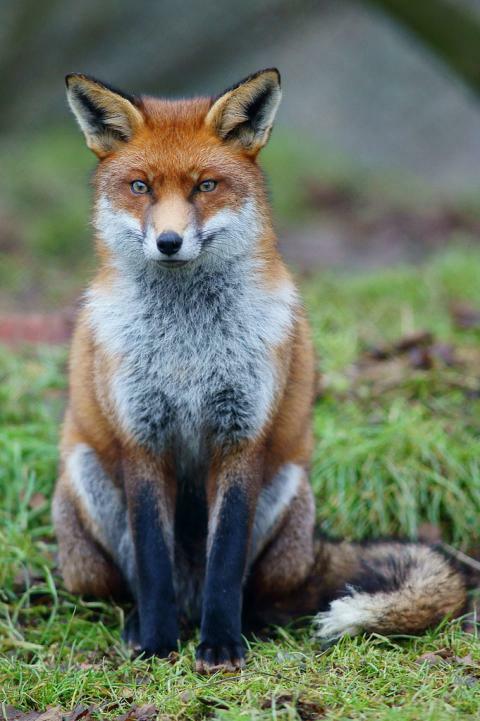 This idea reigned for three decades until, in a 1995 paper to the Annales Zoologici Fennici, Università di Siena biologist Paolo Cavallini compared foxes from the Northern Hemisphere and found the animals clustered into three groups – North American, British, and central European foxes – based on their appearance. Some naturalists had argued that the difference in appearance between Eurasian and North American foxes was probably a result of their adaptation to a new habitat in the 200 years since their introduction by early settlers. Cavallini, however, found that the animals in Australia, which were introduced from England and Wales about 160 years ago and now occupy very different habitats from their ancestors, were still clearly grouped with British foxes. Consequently, Cavallini suggested that the differences in morphology that separate these three groups reflects their phylogeny (i.e. how closely related the groups are), rather than the ecological niche they fill. Cavallini’s dataset was relatively small, comprising only 20 populations, but it certainly implied that a division of British, European and North American animals was warranted. It had long been assumed that introductions of foxes from Europe by early settlers either hybridised with or replaced any native animals, resulting in the loss of the indigenous North American red fox. There are, however, some interesting observations in the literature made by hunters in some of the high altitude parks in the country. Martin Kolence, for example, was a trapper born in 1911 and among the first to note how high-elevation foxes had a much lighter coloured fur than those at lower altitudes, becoming known colloquially as ‘frosty butts’. During his Masters thesis in Yellowstone National Park in the north-western US, Forestry Service biologist Bob Fuhrmann noticed the same trend and, upon doing a search of the park’s records found that low-elevation foxes generally had red fur, while those in the mountains tended to have grey or cream-coloured fur. In a 2002 article to Yellowstone Science, Fuhrmann explained how the boundary between these low and high altitude foxes was about 2,100 metres (6,900 ft.). Fuhrmann published more details on the analysis in a 2005 paper to the journal Conservation Genetics, co-authored with Brad Swanson at Central Michigan University and Robert Crabtree at the Yellowstone Research Center. 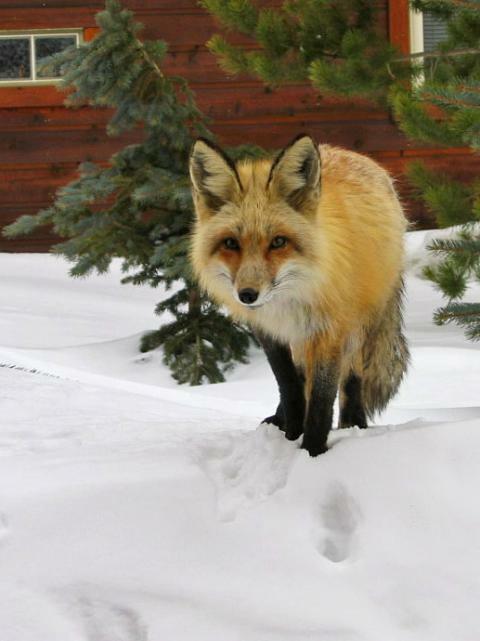 In the paper the biologists increased the boundary slightly to 2,300 m (7,500 ft.) but, overall, Fuhrmann’s research suggested two semi-isolated populations of foxes in the Greater Yellowstone area. One population of foxes, probably descended from European stock introduced by early settlers, live between about 1,600 (5,200 ft.) and 2,300 metres. The other population is found above 2,300 metres and probably represents native stock that found refuge at high altitude during the last glaciation. In the 2005 paper, the suggestion is that the harsher climate prevents the lowland foxes inhabiting the high mountains, while the mountain foxes are at a competitive disadvantage below about 2,300 metres. This apparent lack of gene flow between the two populations makes them prime candidates for being considered separate species under the Biological Species Concept. Fuhrmann’s Yellowstone data appear to be supported by historical records. In a 2002 paper to the Wildlife Society Bulletin, Texas Tech University biologists Jan Kamler and Warren Ballard reviewed the literature and concluded that all current populations of the red fox in the contiguous United States (i.e. those parts of the country that don’t require crossing water to get to), with the exception of relict populations in the western mountains (subspecies macroura, cascadensis and necator) and Sacramento Valley in California (subspecies patwin), are descendants of animals introduced from Europe. In other words, most foxes in the US are non-native stock, having expanded westwards through the central US and Canada during the 1900s, but there are a few small groups of indigenous animals holding out in isolated parts of the country to which they’re better adapted than the relative newcomers. More recent and comprehensive genetic data suggest a somewhat different story, however. Recently, the genetic ancestry of the red fox in North America has come under more intense scrutiny and these studies have revealed a fascinating insight into how foxes colonised the country. In addition, scientists have been able to use particular combinations of genes that evolve in populations and are inherited together from a single parent, called haplotypes, to see how geographically separated populations intermix. In a 2009 paper, a team led by Keith Aubrey at the Pacific Northwest Research Station in Washington presented the results of their phylogeographic analysis of foxes from across North America. Phylogeography is basically a way of showing how populations spread across a given (typically large) area are related to one another. Aubrey and his colleagues collected bone samples from 321 fox skulls kept in various museum collections and grouped them into nine populations: Europe (Sweden, Great Britain, Germany, Italy, and Spain); Asia (eastern Siberia, Mongolia, and China); Alaska (Alaska and the Yukon near the Alaska border); Western Canada (the Yukon near the British Columbia border, Northwest Territories, Alberta, and British Columbia); Central Canada (Manitoba); Eastern Canada (Ontario, Québec, and Newfoundland and Labrador); the Rocky Mountains (Idaho, Montana, Wyoming, Utah, Colorado, and New Mexico); the Cascade Range (Washington and Oregon); and Sierra Nevada (California). The analysis was the first to clearly separate foxes in North America into two groups, or clades: Holarctic foxes that are found in Europe and Asia (collectively Eurasia), Alaska and western Canada, and Nearctic foxes that are found only in North America. Furthermore, Aubrey and his colleagues found that even the ‘all American’ Nearctic foxes had been fragmented during the ice ages and were now represented by three separate lineages (called subclades): an eastern subclade found primarily along the eastern seaboard and Hudson lowlands, as far west as Manitoba; a mountain subclade found in the western mountains (i.e. Rocky Mountains, Cascade Range, and Sierra Nevada); and a third group found across most of the country (widespread subclade). When the biologists applied molecular dating to the samples something even more interesting was found – the Nearctic fox lineage was found to be much older than the Holarctic one, suggesting two waves of foxes colonising the country from Eurasia some 250,000 years apart. As we’ve touched on, it had been thought that foxes introduced to North America by early colonists mixed with the indigenous animals, and that this would have reduced the ‘genetic uniqueness’ of New World animals. Aubrey and his co-workers’ 2009 data suggest this was not the case and this was further supported by a paper published in 2012 by a team led by University of California biologist Mark Statham that failed to find any European haplotypes among the admittedly small sample of foxes they studied. Had introduced animals bred widely with the native stock we would expect to see some of these European gene combinations in the North American fox genetic code, but Statham and his colleagues didn’t find any. Two years later, Statham and his co-workers expanded Aubrey’s dataset, analysing tissue samples from 1,164 foxes collected throughout their worldwide range. Based on their global dataset, the biologists argue that Eurasian and North American red foxes are actually sister groups that have been separated for the last 209,000 years or so, and that the two continental populations have remained distinct despite the introductions made by early settlers. Ultimately, Statham and his colleagues consider that North America’s red foxes are a species distinct from their European kin and should be referred to as Vulpes fulva. So far, so good. The genetic and historical data seem to support the idea that North American foxes are distinct from European ones and that attempts by early colonists to introduce foxes to the continent either failed or had little impact on the bloodlines of the native animals. A potential spanner was, however, thrown into the metaphorical works in 2016. In a paper in the Journal of Mammalogy a team led by Adrienne Kasprowicz at the University of New Orleans presented their analysis of mitochondrial (maternally-inherited) DNA samples from 584 foxes from the south-eastern US. The data show that the more remote, upland populations (i.e. those in the Appalachian mountains) were mainly indigenous stock, whereas urban-associated foxes in and around the mid-Atlantic coastal plain and Hudson lowlands were a mixture of native and non-native animals. Analysis of male and female chromosome markers suggested that foxes were imported into the mid-Atlantic region of North America from Britain and Ireland and, more importantly, the low genetic diversity indicates that the population originated from a single successful introduction of as few as three individuals, calling Frey’s assumption into question. Furthermore, Kasprowicz and her co-workers found European and North American haplotypes in all the animals they studied. In other words, indigenous animals successfully interbred with the introduced individuals at some point in the past, casting doubt on the separation of North American and Eurasian foxes under the Biological Species Concept. So, where does all this leave us? In the end, all the genetic and historical data have given us a clearer picture of how foxes colonised the United States and how this may reflect their relatedness, although the species question is still open to debate. We now know that the red fox originated in the Middle East, probably in what is now the Al Hajar Mountains in Northern Oman and the United Arab Emirates. Based on Aubrey and Statham’s datasets, the first foxes probably crossed into North America about 400,000 years ago during the Illinoian glaciation, when Siberia and Alaska were connected by a 600 mile (1,000 km) wide strip of shrub-covered land called the Bering Land Bridge (or Beringa). These animals spread southwards and came to occupy the boreal forest of Canada and Alaska and the subalpine parklands and alpine meadows of the montane regions in the western United States. During the last ice age these Nearctic foxes were forced into the ice-free areas to the south of the ice sheets, forested areas of the western mountains (i.e. Rocky Mountains, Cascade Range and Sierra Nevada) and in the contiguous eastern US. Descendants of these foxes currently dominate the fox populations in the western mountains and eastern Canada. Over the course of the Pleistocene (between about 2.6 million and 11,700 years ago) several glaciations passed and each locked up vast quantities of fresh water in glaciers – the result was that North America and Asia were connected and then cut off at various times as sea levels rose and fell, submerging and exposing the Bering Land Bridge. In their 2014 paper, Statham and his colleagues note that a major expansion of fox population occurred in Eurasia about 50,000 years ago and there was a subsequent ‘spill over’ of foxes into Alaska and the Yukon during the Wisconsin glaciation – the ‘second wave’ of colonisation. These foxes are the dominant lineage in Alaska and western Canada today and known as the Holarctic clade. The Bering Land Bridge began disappearing for the last time about 13,000 years ago and Statham and his co-workers consider that the North American fox population started to expand at this point, but the potential for intermixing with Eurasian animals was now very limited and foxes on the two continents have essentially been separated for the last 10,000 years or so. Around the 15th century, the romantically-titled “Age of Discovery” began and Europeans began forging expeditions overseas. The result was the discovery of North America (the ‘New World’) in the late 1400s by European explorers and ultimately settlement on parts of the eastern seaboard during the 1600s. Changes to the land use (particularly clearing forests to make way for farmland) improved the environment for the native animals, scarce as they appear to have been at the time, and some colonists brought foxes with them, particularly from Britain, and released them onto their estates so they could be hunted. Although the literature is incomplete, Kasprowicz’s data suggest that some of these introductions were successful. European foxes appear to have hybridized with indigenous stock in the mid-Atlantic region of the eastern US at least and this seems to have been more significant around human settlements, where exotic animals either hybridised with or replaced native ones. Aubrey and Statham’s findings indicate that these introduced animals didn’t spread far west or integrate with high altitude populations. Statham and his co-workers argue that the genetic exchange between North American and European red foxes has been very limited and the few releases during colonial times didn’t have a significant impact on the bloodline. Consequently, in their view, the two populations are reproductively isolated and have been for the last ten millennia or so, leading them to favour a two-species model: Vulpes vulpes in Europe, Asia and North Africa; and Vulpes fulva in North America. Based on the data to hand it seems justifiable to, at least, separate the Nearctic foxes from those in Europe.